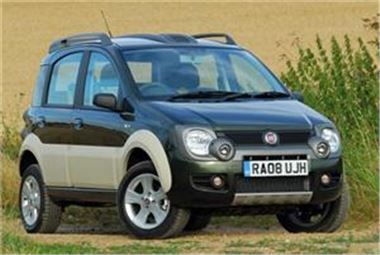 People considering buying a car they can do some off-roading in may want to take a look at the Panda Cross from Fiat, after it was named 4x4 of the Year. Honoured in 4x4 and MPV Driver magazine's annual awards, the judges said numerous qualities had impressed them. They issued particular praise for the car's affordability, style, off-road capabilities and its 1.3 16v MultiJet turbodiesel engine. Andrew Humberstone, managing director at Fiat UK, said: "It's fantastic to see it not only continuing to be a top choice for our customers, but still able to impress very influential judging panels." The Panda Cross - which was launched in the UK three months ago - is available in Goa Orange, Rain Dance Green, Cumbria Beige and Crossover Black. Interested buyers can pick up the vehicle from £11,995. Meanwhile, Fiat recently announced the one-millionth Grande Punto had rolled off the production line at its Italian factory in Melfi.